The Los Angeles area is known for a lot of things. One thing it is not known for is easy driving with little need to worry about traffic. In fact, Los Angeles is arguably the most frustrating place in all of the United States to drive. Even with all of the roads open, it can take up to an hour to travel just a few miles. And this weekend, things are going to be as bad as they have ever been for those driving in Los Angeles – Carmageddon is coming! The highly used 405 Freeway is going to be closed for the weekend. The freeway connects the Westside with the San Fernando Valley. The 405 Freeway is going to be closed due to a project costing over one billion dollars to widen the freeway and rebuild the Mulholland Bridge. In addition, a carpool lane is set to be implemented for drivers heading north. As a result, the already crowded streets of Los Angeles are going to be filled with herds of citizens stuck in traffic in an effort to get to their destination. Many are expected to stay home all weekend but for those who plan to brave the closure, they are expected to carpool and to leave for their journey much earlier than normal. With ten miles of the freeway going north and south shut down for the weekend, many are fussing about the havoc that is going to occur for motorists. From Friday, July 15th at midnight until Monday, July 17th at 6 am, the 405 North from Interstate 10 to the 101 Freeway; and from the 101 Freeway South to the Getty Center Drive will be completely out of service. The LA Times is offering the citizens and visitors of the area a list of other routes they can take into consideration when trying to decide how to go about getting around the county this weekend. Some residents are even planning on staying in hotels for the weekend near where they work to avoid driving during all of the chaos. Local businesses are expected to take a major hit this weekend. With the roads jammed, local residents are ready for “Carmageddon”. Local companies are set to ask fewer employees to come in this weekend and to bring down their prices to try to get people in despite the traffic. 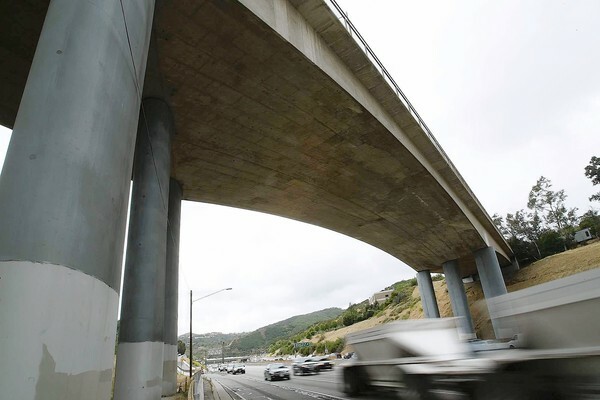 While the result of the weekend is going to mean an improved freeway, it is also going to mean many businesses losing money and many people taking much too much time to go about their regular lives. The best thing to do is plan on staying local for the weekend.